Warfaze - одна из старейших бангла-метал групп. 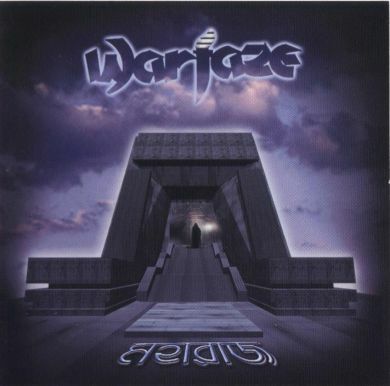 Warfaze was formed on 5th June, 1984. The initial line up was made up of: Kamal - bass guitar Helal - drums Mir - lead guitar Naimul - lead guitar Bappi - vocal At this stage, the band was not very popular. The initial line up did not continue for long either. Helal, Mir and Bappi had to leave the band for personal reasons. Kamal started playing the lead guitar for the band at this stage and the rest of he positions were filled with Babna as the bassist, Tipu as the drummer and Rashed as the vocalist. This second line up had to be discontinued when Naimul immigrated to the USA. During that time, there were three other Dhaka-based metal bands: Rockstrata, In Dhaka and Aces. Mashuk, the lead guitar of In Dhaka, and Fuad (of the same band) volunteered to help Warfaze as a guest member. Early days Early on, Warfaze only played cover music of American and British bands. On 26 April 1991 for the first time they performed their own songs at a concert arranged by BAMBA in University of Dhaka. Soon, almost coincidentially, several members of the various metal bands in Bangladesh started to immigrate to different countries, mainly for education purposes. The bands decided to make a mixed album but as it turned out Warfaze had enough songs (and popularity) to be able to release a solo album. So, they released their self-titled album, Warfaze, in 1991. Back in the 1990's Bangladeshi music listener were still new to metal. Any lyrics other than those inspired by romanticism or patriotism were rare. It took several weeks before the album started to be appreciated. They did their first follow up concert on 07 January 1992 at the Rawa Club. Kamal, the lead guitarist, is helping another band, Moshpit, to make a new underground album. Kamal is also helping, Aurthohin, another pioneering Bangladeshi rock band, as a lead guitarist. Changes in band line up Warfaze, since their inception, has changed their line up numerous times. Here is a list of the more stable ones: First line up Riyad - vocal Emon - lead guitar Naimul - lead guitar Rajib - bass guitar Pappu - drums No albums released Second line up Babna - lead guitar Tipu - drums and percussion Kamal - lead guitar Mashuk - lead guitar (member of band In Dhaka, but worked as fill-in) Rashed - vocal No albums released Third line up Sunjay - vocal Kamal- lead guitar Babna - bass guitar and back-up vocal Russell - keyboard and second lead guitar Tipu - drums and percussion Released albums: Warfaze (28th June, 1991) Obak Bhalobasha (5th September, 1994) Awards Coca-Cola BAMBA Music Award for the title song of Obak Bhalobasha Fourth line up Sunjay - vocal Kamal- lead guitar Babna - bass guitar and back-up vocal Fuad - keyboard and second lead guitar Tipu - drums and percussion Released albums: Jibondhara (5th February, 1997) Dhun (with other artists) Hit, Run and Out (with other artists) Fifth line up Sunjay - vocal Kamal - lead guitar Shumon - bass guitar and vocal Jewel - second lead guitar and vocal Fuad - keyboard and percussion Tipu - drums Released Albums Oshamajik (April 2, 1998) Sixth line up Mizan - vocal Kamal - lead guitar Balam - second lead guitar and back-up vocal Biju - bass guitar and back-up vocal Shams - keyboard and back-up vocal Tipu - drums and percussion Released album: Alo (2000) Seventh line up Balam - vocal and lead guitar Sazzad - lead guitar and back-up vocal Shams - keyboard Cezan - bass guitar Tipu - drums and percussion Released album: Moharaj (June, 2003). Сборник лучших песен группы. Тяжелые, инструментальные, мелодичные композиции сменяют одна другую. Почти все альбомы группы, от ранних до последних лет.